* All fares below were last found on : Apr 22, 2019 8:46:55 AM. Fares are round trip. Fares incl. all fuel surcharges, our service fees and taxes. Displayed fares are based on historical data, are subject to change and cannot be guaranteed at the time of booking. 56% of Antalya Airport travelers were over the age of 35. 13% of Antalya Airport travelers were over the age of 60. 9% travelers traveled to AYT with kids under the age of 14. 32% of AYT travelers were millennials. 47% of AYT travelers were female. SAW, IST, TZX were the most popular destinations visited by First-Class travelers from AYT. Travelers spent an average of 8.00 days in Antalya Airport. 11:00AM - 12:00PM are the busiest hours at AYT. 110 flights arrive each week at AYT. 110 nonstop flights arrive at AYT each week. The first flight to AYT departs around 7:00AM - 8:00AM. The last flight to AYT departs around 11:00PM - 12:00AM. July was the month with most bookings for AYT airport. November was the month with least bookings for AYT airport. Book cheap flights to Antalya Airport with CheapOair and save big! We offer you the most competitive airfares on AYT flights. Choose from our range of AYT flights, and pick the one that suits you the most. We offer incredible Antalya Airport flight deals that are difficult to miss! The Antalya Airport, an international airport, is situated in the city of Antalya, Turkey. It lies around 13 kilometers away from the Antalya city center. It is amongst the major airports within the country and is operated by ICF Airports. The airport serves as a hub for Anadolujet, Turkish Airlines, Corendon Airlines, Freebird Airlines, Pegasus Airlines, and SunExpress. Book flights to Antalya Airport (AYT) with CheapOair! In addition to offering competitive airfares to locations most convenient for you, we provide useful information to inform your travel to AYT. Read below to learn more about AYT flights, and count on CheapOair for the best deals on all of your travel booking needs. The Antalya Airport is well connected to the city and the nearby region through various modes of transportation. Several buses and coaches run to and from the airport providing easy connectivity to all. 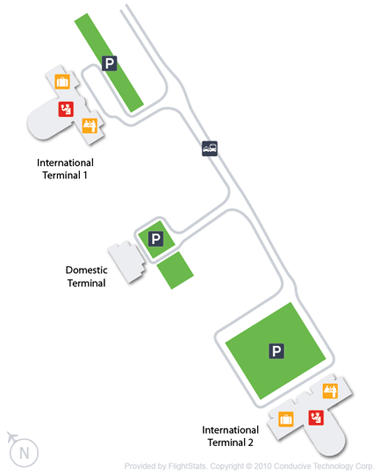 Taxis can be found at taxi stands, located in front of all terminals of the airport. To explore the region on their own, passengers can choose to rent a car from any of several car rental agencies available here. Passengers can access wireless internet connection at all terminals of the airport. To assist passengers with their queries, information desks have been set up within all airport terminals. At several points flight monitors have been set up providing detailed flight information. Special assistance services are available here for passengers with reduced mobility. A children's playground is available within Terminal 2, whereas baby changing rooms have been set up within all terminals. Within all terminals, several ATM machines and currency exchange facilities are available. At several places baggage trolleys are available at the airport. Facility of baggage wrapping can be used at the departure hall of Terminal 1. Luggage lockers are also available at Terminal 1. Passengers departing from here or from Domestic Terminal can use them. At the airport emergency & general health services are available round the clock. Available at the airport are 4 mosques. All passengers are welcomed here regardless of their religion. An outside smoking terrace has been set up at all terminals of the airport. A tax refund can be claimed by all passengers who are not a resident of the country. There are 2 pharmacies at both International Terminals selling medication and wellness products. A Lost & Found Office is available to assist passengers with missing belongings. Variety of cafes and fast food outlets are available at the airport where one can enjoy coffee, soft drinks, alcoholic beverages, salads, burgers, sandwiches, and more. 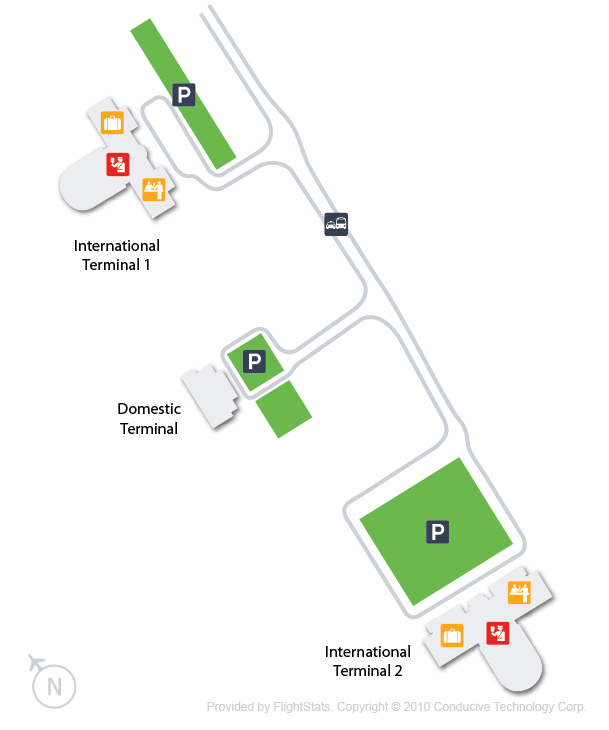 Parking facility is available for every passenger at affordable prices near all terminals of the Antalya Airport. Find cheap hotels in Antalya - Lowest rates for all sorts of Antalya hotels!